Firefighters found a body in a burned-out barn in Squaw Valley early Sunday morning. 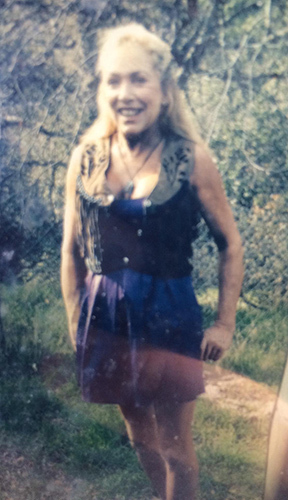 Now, Fresno County investigators say it could be a woman reported missing hours earlier. SQUAW VALLEY, Calif. (KFSN) -- Firefighters found a body in a burned-out barn early Sunday morning. Now, Fresno County investigators say it could be a woman reported missing hours earlier. Cal Fire responded to the call just after midnight. It happened in the Squaw Valley area near Sand Creek and Longview roads. When Cal Fire first got the call, investigators say they weren't responding to a distress call. They knew people were known to live in the barn that was burning, but it wasn't until they were cleaning up the rubble that they found the body. In a rural part of Fresno County, forensic teams sifted through piles of burned rubble. An early morning fire destroyed a small barn and somehow a body burned with it. Investigators haven't identified the body, but a 55-year-old woman, who has been missing since the fire broke out, could be the victim. Amee Nichols, who lived in the barn, was last seen at the barn Saturday night. "At this point it's a suspicious death, so we don't know if it was at the hands of another or it was just an unfortunate accident," said Lt. Rick Ko of the Fresno County Sheriff's Office. Witnesses told deputies they heard several explosions as the fire broke out. Cal Fire investigators are trying to figure out how and where the fire started, while the Fresno County coroner's office is determining who the victim is and how they died. Witnesses also told investigators a light-colored SUV pulled up to the fire and tried to help anyone inside. Fresno County sheriff's deputies are trying to get ahold of the people in that SUV to get more information about the fire.